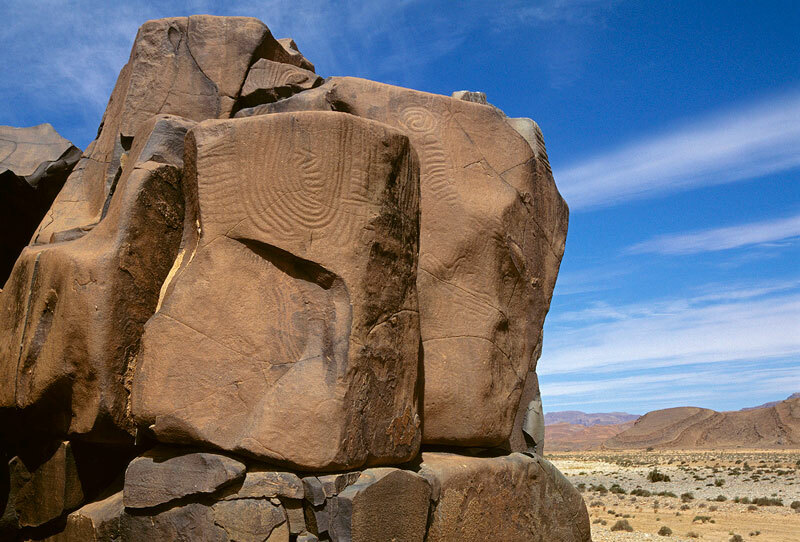 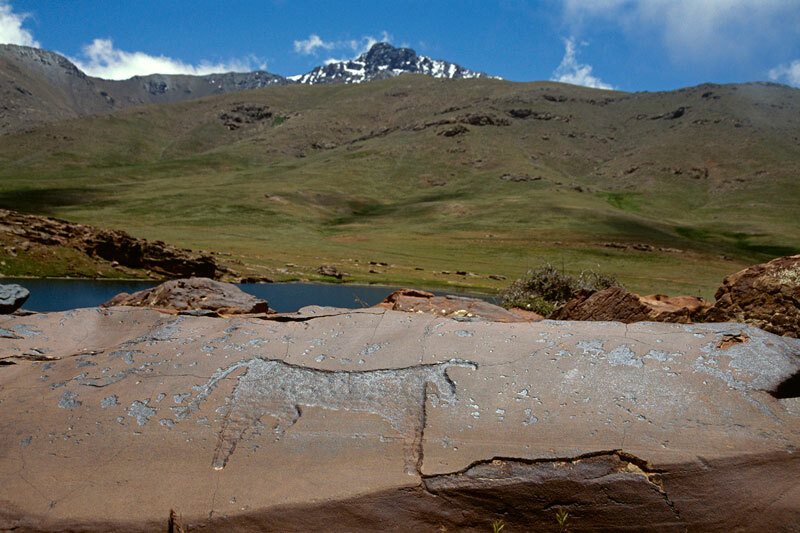 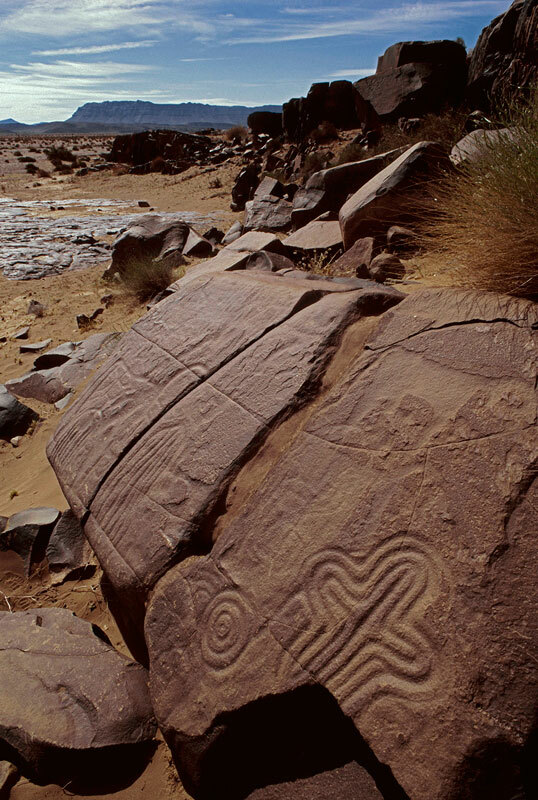 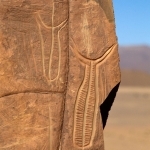 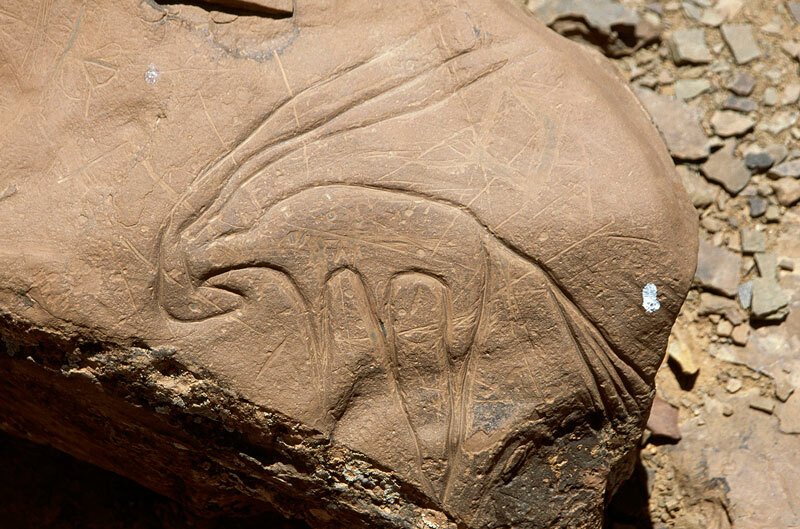 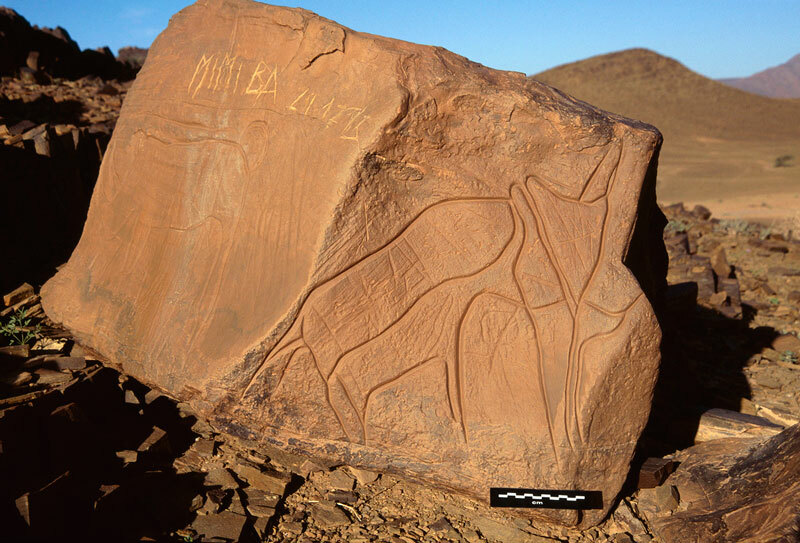 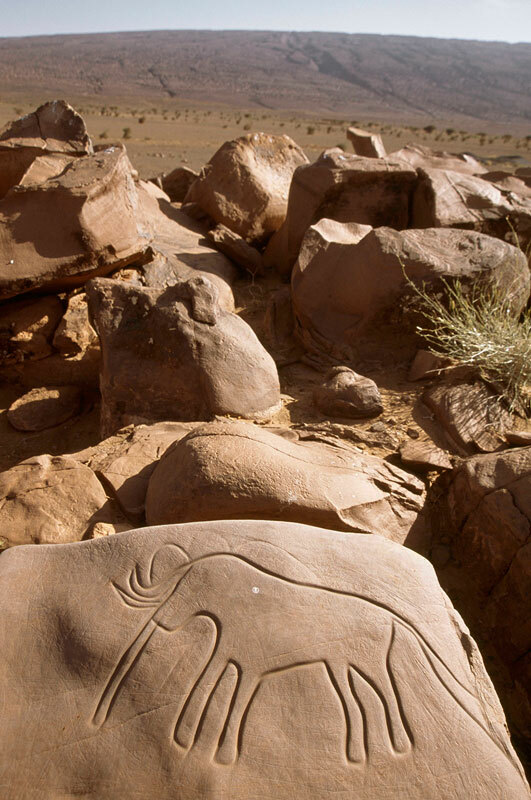 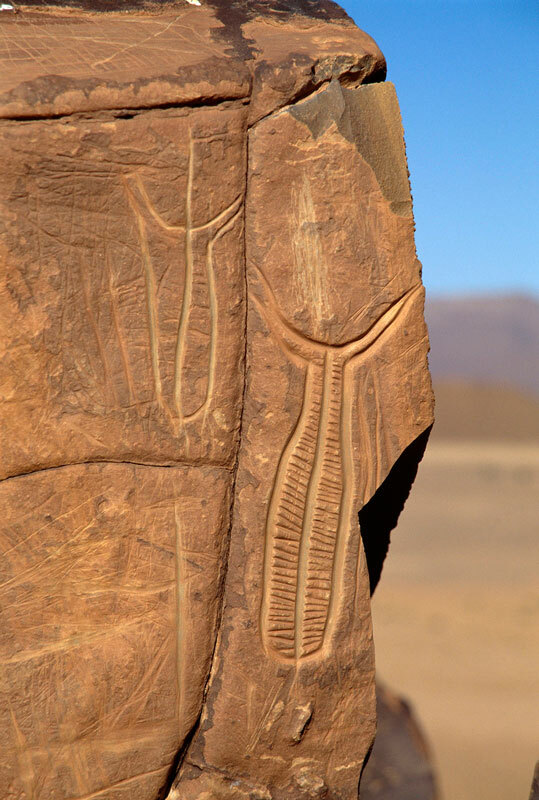 The best examples of Tazina-style art are found in Southern Morocco on the Sahara side of the Atlas Mountains in the region of the River Draa. 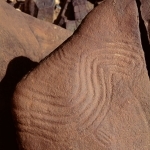 This art is characterised by beautiful engraved outlines and careful distortions. 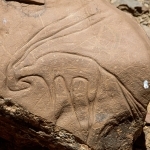 The oldest Tazina art is thought to date to around 5,000 BP. 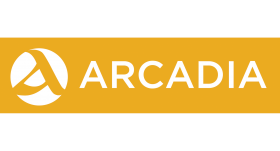 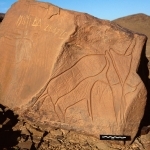 This is followed by three different periods or styles: the Horse Period (starting around 3,000 BP) and Libyan Warrior style, and finally the Camel Period starting after 2,100 BP. 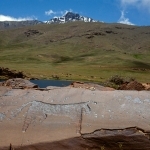 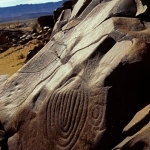 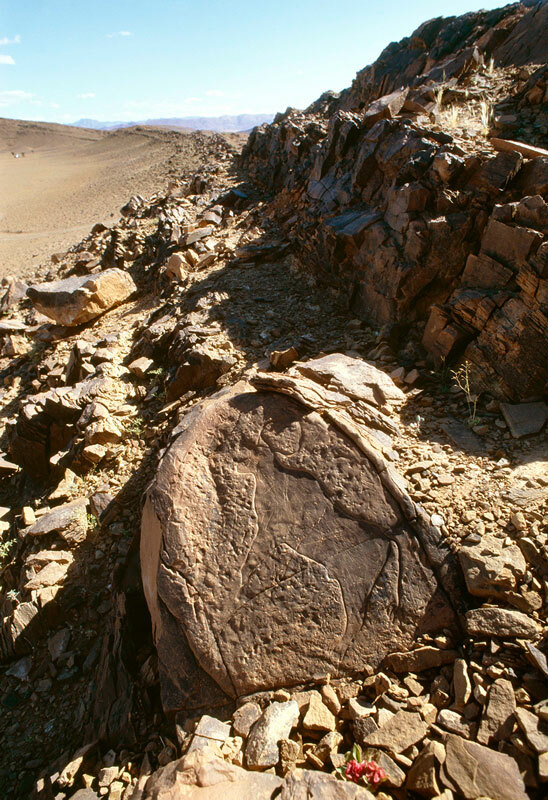 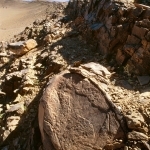 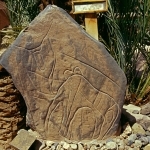 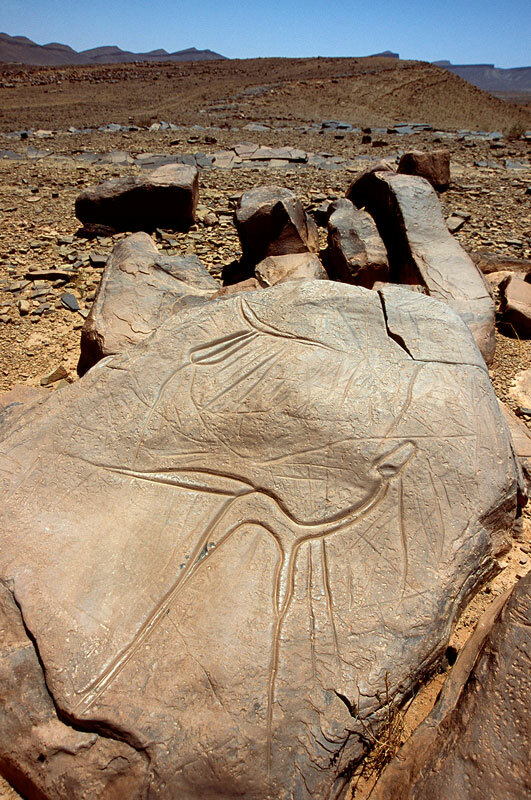 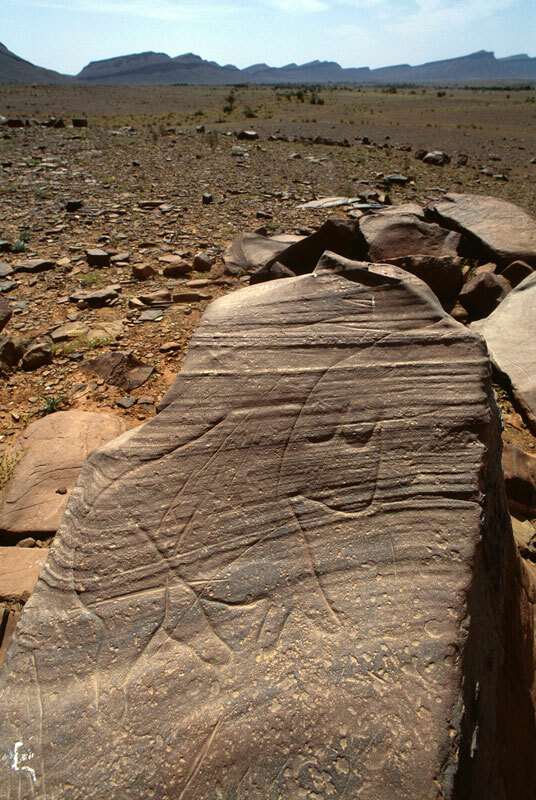 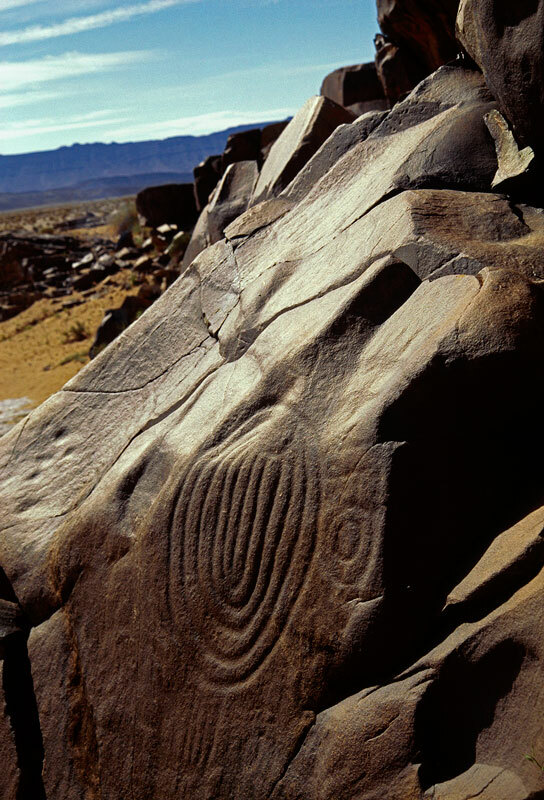 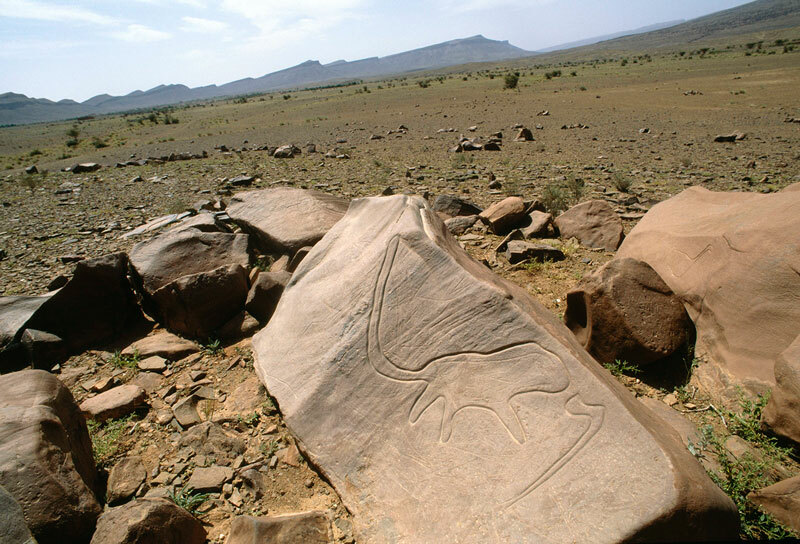 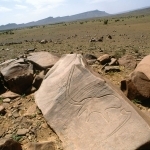 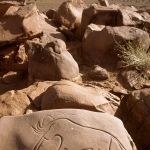 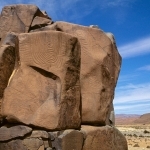 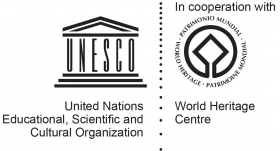 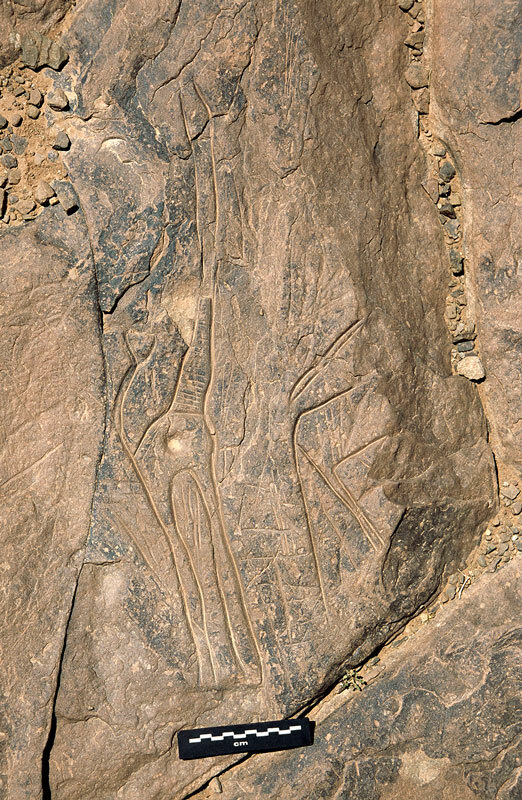 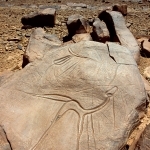 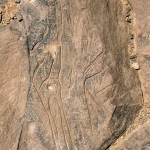 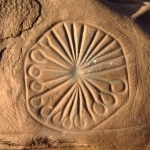 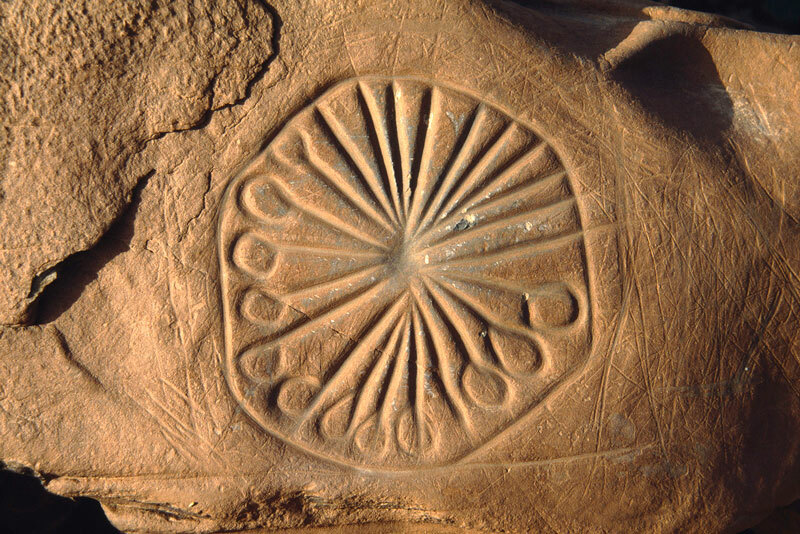 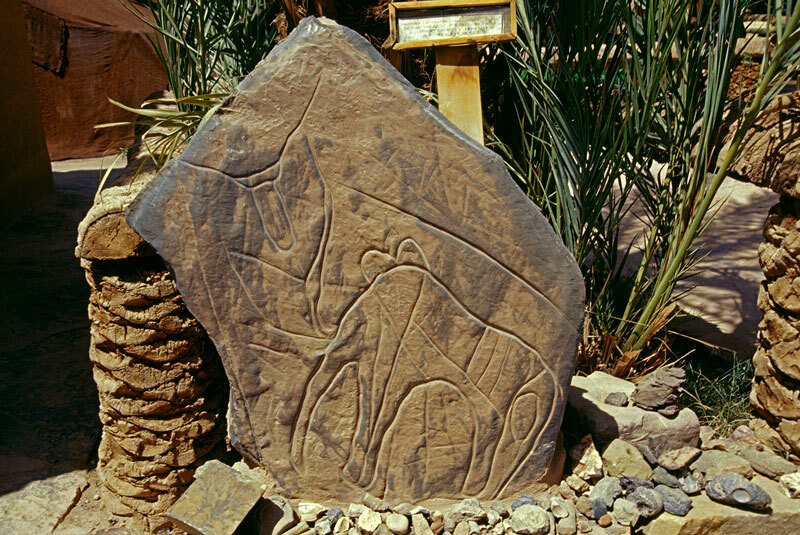 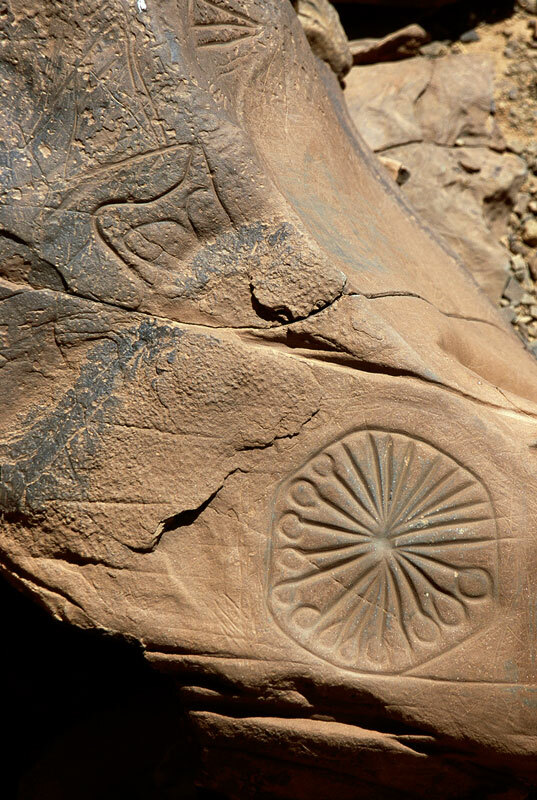 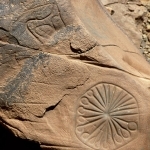 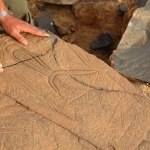 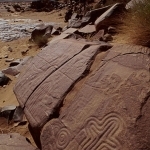 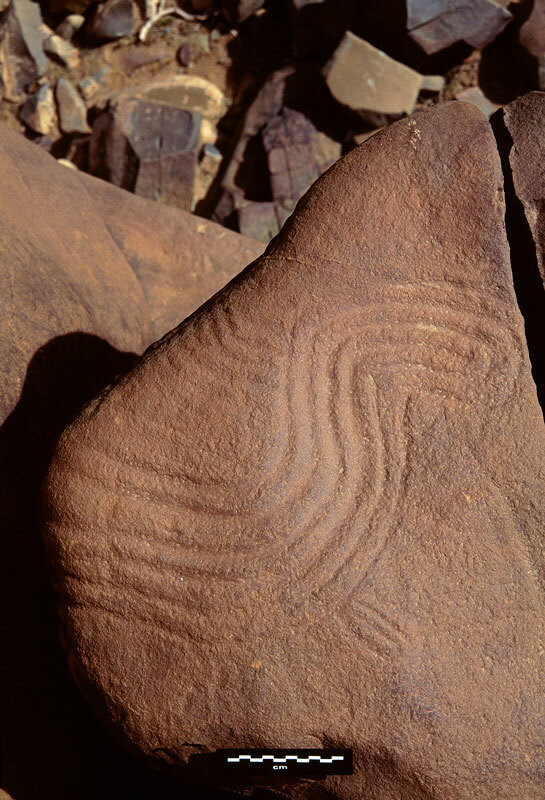 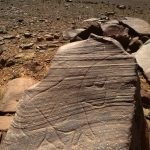 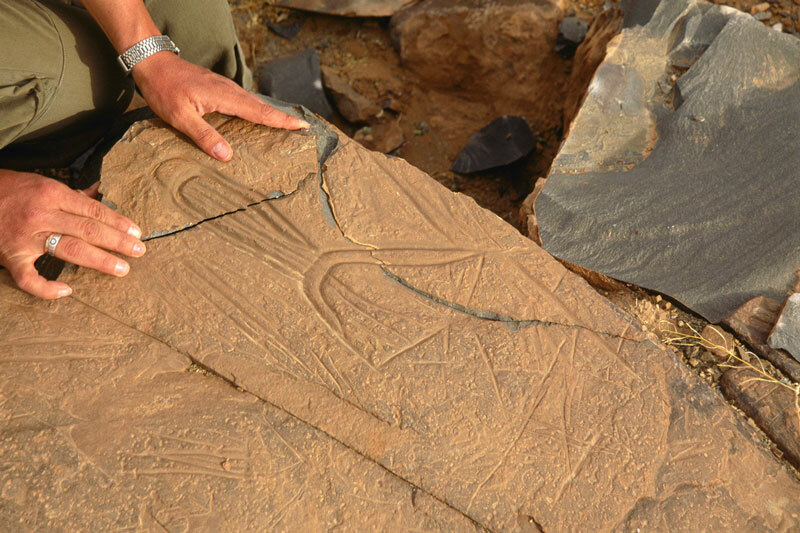 Many sites are characterised by engravings of metal weapons, quite unique to North Africa.